In an article entitled “Go Social” in the November 2016 issue of Living Lutheran, the writer encouraged Christians to open an Instagram account. Why? To be a visual storyteller for Christ. The article explained that in the Middle Ages, it was stained-glass windows that told the story of salvation to those in the pew who were mostly illiterate. Today there has been a resurgence of telling a story visually, most notably through social media sites like Instagram. The whole goal of Instagram is to share photos of your life with others. In essence, as a Christian, then, your Instagram site can serve as the stained-glass windows to the world of your life in Christ. In the Fall 2016 Concordia Journal, Prof. Glenn K. Fluegge focuses on the role of evangelism in the article, “The Dual Nature of Evangelism in the Early Church.” He explains that the two goals of evangelism then and now are: spreading the gospel and preserving the gospel. That second goal of preserving the gospel struck me as something that we don’t often associate with evangelism, but is so vital in our world today. In today’s world, in our effort to please and placate everyone, the gospel can become so watered down that it can often lose its core concept: Christ crucified for us. We are simultaneously connected and disconnected. I do find it interesting that we have an ever-expanding range of ways to connect with each other, but we seem more disconnected from each other than ever before. The term missio Dei has come up more often as of late in religious literature I am reading, so I have done a little research into it. It is a term first coined by German theologian Karl Hartenstein in 1934, but had a resurgence in the late 20th century with the rise of the missional church movement. 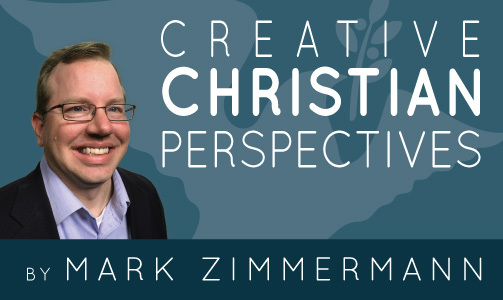 Popular modern theologians Timothy Keller and Ed Stetzer have been instrumental in increasing its use and visibility in Christian circles. At the heart of the missio Dei is the concept that mission is not just something the church itself does, but something that is the result of God’s initiative and his desire to restore and heal creation. The church serves as a tool in the larger purpose of God to reach all nations with the message of the Gospel and to bring glory to Father, Son and Holy Spirit. In other words, the church is not the mission of God, the spreading of the Gospel to the world through the church is the ultimate mission. Look at it this way and it says SAINT. Look at the same image this way and it says SINNER. In 2017, we are celebrating the 500th anniversary of the Reformation, so I will be focusing on some of the major themes of that monumental event in Church history throughout the year. My church used the images shown above to help us understand that duality. Looking at the image one way, and you see the word saint. Look at the same image upside down and you see the word sinner. But it is still a single image with both words present within it. Jennifer McClard stands next to a Little Free Pantry. An article in the November 2016 issue of Living Lutheran magazine described the growing popularity of the Little Free Pantry, a grassroots program that was begun by Jessica McClard, a member of Good Shepherd Lutheran Church in Fayetteville, Ark. She took the idea of a concept that already was present in the marketplace, Little Free Libraries, and made it her own. She saw the need in her community for staple foods to be provided for the poor and needy and built a mini-pantry in her neighborhood and posted it on Facebook. The idea caught on, and now there are Little Free Pantries popping up in neighborhoods all over the nation filled with boxes of cereal, canned good, peanut butter, crackers, toothpaste and toothbrushes. Check it out at Facebook.com/littlefreepantry.